Cho Won Hong: After a decade of building an image for quality, Hyundai plans to move its brand message upmarket. SEOUL -- Hyundai Motor Co. plans to unveil a global branding strategy under the concept "modern premium" in a bid to nudge its image upmarket and command higher prices more in line with the carmaker's recent strides in quality and technology. The concept, already used internally, is expected to be announced at the Detroit auto show in January and rolled out next year. A new slogan will also be revealed to replace Hyundai's current message of "Drive Your Way," spokeswoman Song Meeyoung said. The overhaul will focus on improved customer service, more innovative marketing and a better look and feel for the vehicles themselves. "In the past 10 years, we have been very successful in building an image for quality," Executive Vice President Cho Won Hong, Hyundai's new global marketing chief, said in an interview last month. "From now on, our direction will be defined as new premium or modern premium." Hyundai, whose name means "modern" in Korean, was long known as an economy brand that undercut rivals on sticker prices. Now the company wants to foster an image that matches its burgeoning reputation for top-notch quality. Cho targets an "attainable" premium niche above Japanese competitors that packs technology, style and service into reliable rides. "We have been doing quite well in building good functional quality," Cho said. "But we still have some room to improve our emotional quality, and that is related to our brand strategy. That's why we set modern premium as the brand direction for the next five to 10 years." -- An improved global dealer showroom identity. Modern premium may also mean higher sticker prices. "Obviously, there will be some price increases," Cho said. "If we deliver premium value to the customers and they recognize the value, then that's the time we can increase our prices." Cho returned to Hyundai in August after a decade at the management consultancy Monitor Group in Boston. 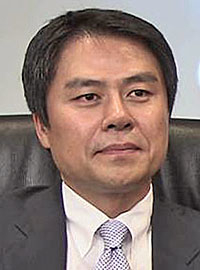 His early years at Hyundai were spent in overseas and strategic planning. As an outside consultant, he helped develop Hyundai's current concept of "refined and confident." A focus on creativity will be key to unifying the shopping experience across dealerships, Cho said. For example, Hyundai is developing a racing video game to be deployed in showrooms. The idea is to have something different, eye-catching and engaging for customers. At the same time, Hyundai is launching two new global marketing teams. The first, formed in April, focuses on youth marketing. It looks at youngsters, who aren't even customers yet. The goal is to pinpoint future trends. The other unit, to start work next year, will drum up innovative marketing ideas. It will rely on shop-alongs, customer shadowing and ethnographic research to find out what customers want.